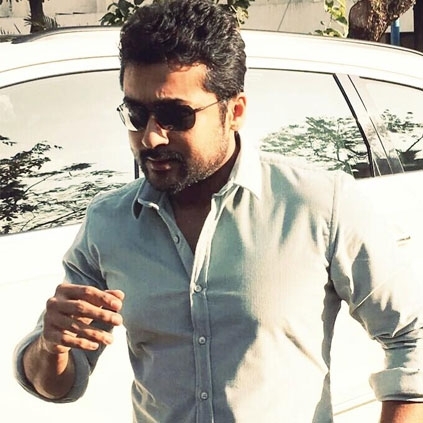 SURIYA TEAMS UP WITH 10 ENDRATHUKULLA’S DIRECTOR! Popular cinematographer turned director, Vijay Milton is currently busy with his upcoming film Kadugu starring Bharath, Rajakumaran and Subiksha in the lead roles. This is Vijay Milton’s 4th directorial after Azhagai Irukkirai Bayamai Irukkirathu, Goli Soda and 10 Endrathukulla. After trying his hands on a mass action film 10 Endrathukulla with Vikram, Vijay Milton is now making an intense film Kadugu. Actor Suriya released the trailer of the movie, today(8th Feb). What’s more interesting is that Suriya himself will distribute Kadugu through his banner 2D Entertainment. The film is slated for a summer 2017 release. DSP to compose for this big star! Yamudu gets big in United States! Kamal Haasan twitter account hacked? People looking for online information on 2D Entertainment, Kadugu, Suriya, Vijay Milton will find this news story useful.